Today’s travelers want more than to just see a destination and check the major attractions off their bucket list. They want an intimate look at authentic experiences off the beaten path. Cuba – Alexander + Roberts’ “Classic Cuba” itinerary is an exploration of this year’s top emerging destination. Island visitors will visit Ernest Hemingway’s home where he lived and wrote for almost 20 years, browse Cuba’s vibrant local markets and learn about Old Havana’s architectural history, Afro-Cuban art, and music. Guests can enjoy this seven-night trip from $5,595 throughout 2017. 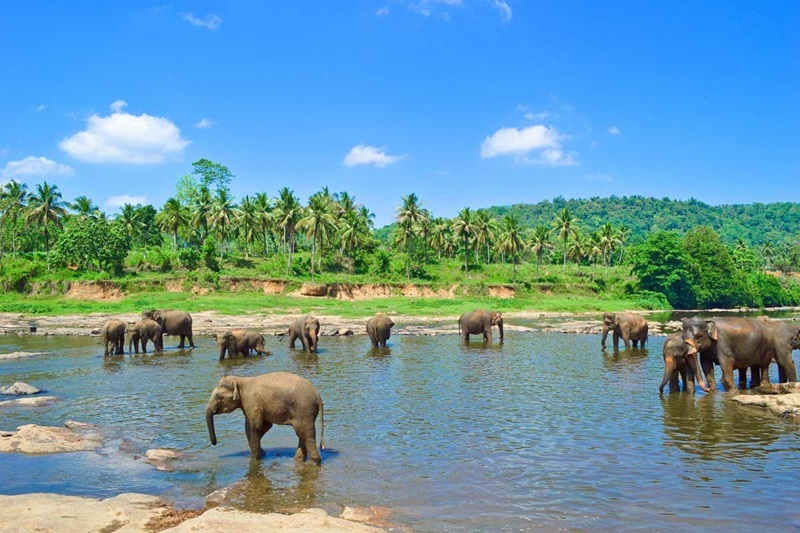 Sri Lanka – Guests on Trafalgar’s “Wonders of Sri Lanka” journey will visit some of the country’s most enchanting sites like the Temple of Tooth and Udawalwe National Park, as well as a train trip to Sri Lanka’s tea country to learn the art of tea tasting. This trip also provides travelers with insider moments like dance lessons in the village of Habarana and lunch at a family home in the village of Katugastota. Beginning in April 2017, this 11-day trip is available throughout 2017 with prices from $2,385 per person. Iceland – Travelers on Contiki’s “Iceland” trip will discover Iceland’s Nordic landscape and explore the vibrant capital city of Reykjavik. The four-day itinerary includes a stop at Iceland’s famed Blue Lagoon and a search for the Northern Lights. Available throughout 2017 with prices from $875 per person. Myanmar – Avalon Waterways’ “Golden Myanmar & The Alluring Irrawaddy” itinerary is offered northbound or southbound along the Irrawaddy River and includes walking tours through local villages. Among other activities, guests will visit a monastery where they can offer alms to the monks and witness their lunch ritual. This captivating 14-day river cruise is available throughout 2017 and into 2018 from $3,659 per person. To find your dream vacation, click here. Note: Information was correct at time of writing. All tours/packages subject to availability. Prices may vary from time of writing, based on currency fluctuations. A version of this post originally ran in the February 2017 issue of Vacation Agent Magazine.